Legendary Bollywood actress Sridevi who shot to fame with Bhaaratiraja's 1977 hit Pathinaru Vayadhinile and rose to become a luminous name in Indian cinema, died late Saturday night succumbing to a massive cardiac arrest in Dubai. She was 54. Sridevi's brother in law Sanjay Kapoor confirmed the news to The Indian Express. Sridevi's husband Boney Kapoor and younger daughter Khushi were in Dubai to attend a family wedding. Elder daughter Janhvi is in Mumbai for a film shooting. Family and friends are rushing to Sridevi’s house in Mumbai to be by Janhvi’s side. Sridevi worked across the language spectrum of Indian cinema in Tamil, Telugu, Hindi, Malayalam and Kannada; her most memorable roles came in a rash of Tamil hits while she was still in her teens. For Sridevi's die hard fans, 16 Vayadhinile and Sigappu Rojakkal and Moondram Pirai are the defining moments of her film career - the romance of the vernacular holds sway. Sridevi, a Padma Shri awardee in 2013, began her career as a child artiste and grew up to be one of the most phenomenal female stars India ever had. In the 1990s, Sridevi's roles in Chandni, Lamhe, Mr India, Nagina were not just personal landmarks but the stuff of Indian film lore for the ages. Sridevi's more recent movies were English Vinglish and MOM which released in 2017 - her comeback after marriage and a career break. 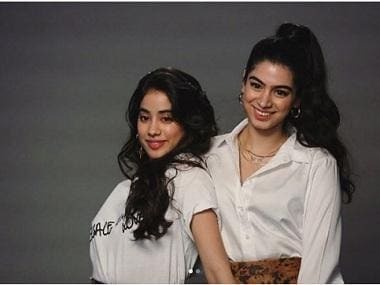 Sridevi's daughter Janhvi is set to make her Bollywood debut this year with Karan Johar’s Dhadak. Sridevi's first meaty role came in a Hindi remake of the Malayalam hit Chattakari. At age 13, Sridevi starred in K Balachander's Moondru Mudichu (three knots, Tamil localese for the bond of marriage) where she played the wife of an aging widower and stepmother to Rajinikanth. But it was Bhaaratiraaja's debut film Pathinaru Vayadhinile which catapulted Sridevi into headline grabbing stardom. In the film, Sridevi plays a village beauty Mayil while two other great stars of South Indian cinema Kamal Haasan and Rajinikanth play the good and bad guys respectively. Sigappu Rojakkal -another Bharathiraaja film where Sridevi stars alongside Kamal Haasan took the pair spiraling into superstardom in South Indian cinema where they stayed for several years, working in over 40 films together. Meendum Kokila and Moondram Pirai are counted among Sridevi's best performances. Sridevi's Bollywood movies include Sadma (remake of Moondram Pirai), Mr India, Chandni, Chaalbaaz (in a dual role with Sunny Deol and Rajinikanth), Khuda Gawah (double role of an Afghani mother and daughter, opposite Amitabh Bachchan), Lamhe, and Gumrah. Sridevi's fans widely consider Sendoora Poove and Hawa Hawaai two of her most memorable song sequences in her remarkable film career, both embedded here. Sridevi's last tweet came the day she died - retweet of a dance tribute to her. Tributes have begun pouring in from across the film industry and Sridevi's legions of fans, the shock has still not sunk in.